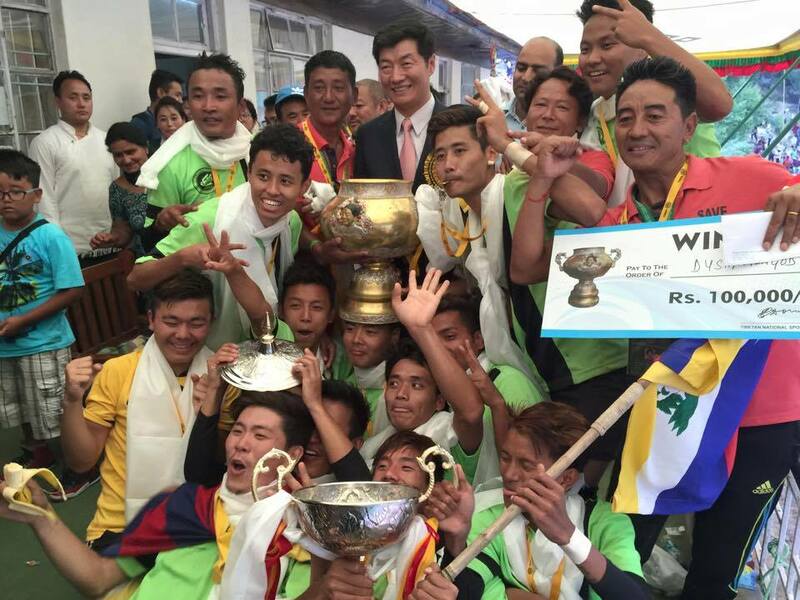 (TibetanReview.net, Jun12, 2015) – Mundgod FC from a Tibetan settlement in Karnataka state of India are the new exile Tibetan football champions. They beat Tashiling Pokhara from Nepal by 2-1 in the final of the 21st Gyalyum Chenmo Memorial Gold Cup Football Tournament which was played on the Upper TCV school ground, Dharamshala, India, on Jun 10 before a crowd of 4,000 spectators. A total of 28 teams from Tibetan communities in 13 Indian states as well as from Nepal, United States, Canada, and Europe took part in this year’s annual tournament over 12 days which start on May 30. The chief guest for the occasion, who presented the GCM Gold Cup and the modest cash prize of INR 0.1 million to the winning team, was the head of the exile Tibetan administration, Sikyong Lobsang Sangay. The tournament was started in 1981 in memory of the late mother of Tibet’s exile spiritual leader, the Dalai Lama. The all-Tibetan tournament has been used to select and groom talented players for Tibetan national teams to play in possible tournaments in India and other countries.